Image from Valley Children’s Hospital. It’s that time of year again! Mark your calendars for March 8, 2016. It is a day dedicated to the kids at Valley Children’s Hospital, also known as Kids Day. 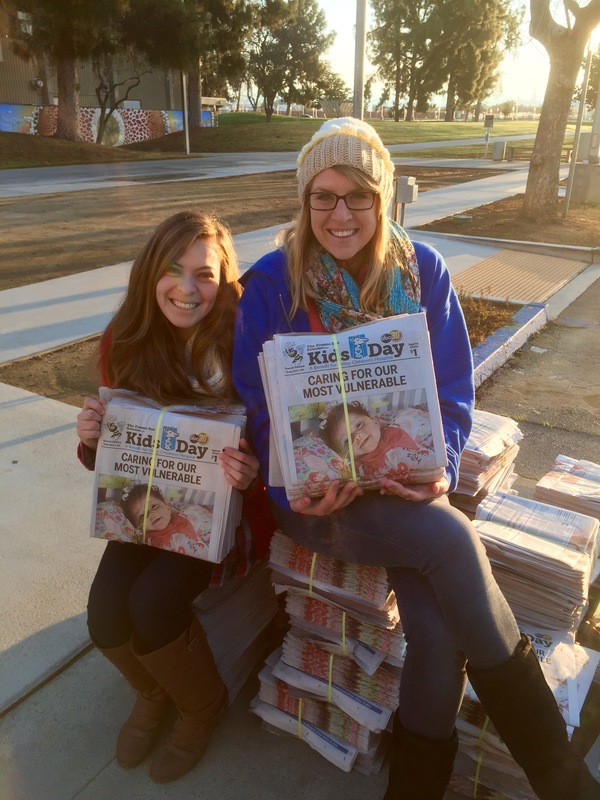 This is the 29th year that thousands of volunteers all across the Central Valley team up with Valley Children’s Hospital, The Fresno Bee, and ABC30 to sell Kids Day edition newspapers to the community. Last year over 1,400 Fresno State students, faculty, and staff participated in this event and raised over $41,000. We are hoping to do our best to exceed these numbers this year. If you are looking for a way to get involved you can: (1) donate $1 and buy a newspaper around campus, (2) help sell papers by signing up with a student club/organization or as an individual here, or (3) Help spread the word and recruit volunteers by sharing this information with your peers. I personally remember getting up early and selling newspapers for my high school a few years ago. It is always so much fun to see how energetic people can be at 5 a.m. especially for such a good cause. I cannot wait to be a part of Fresno State’s Kids Day and see the outcome we will have this year! Let’s get ready to serve, sell, and smile. How will you contribute to Kids Day 2k16? Do you have an memories from volunteering at this event previously? Ambassadors were up before the sun passing out papers and aprons to excited Bulldogs! Each year, the city of Fresno puts on Kids Day as an effort to raise money for Valley Children’s Hospital. This year was a huge success; volunteers Valley-wide raised over $535,000, a new record! The Jan & Bud Richter Center for Community Engagement & Service-Learning organizes the portion of Kids Day where Fresno State students participate. 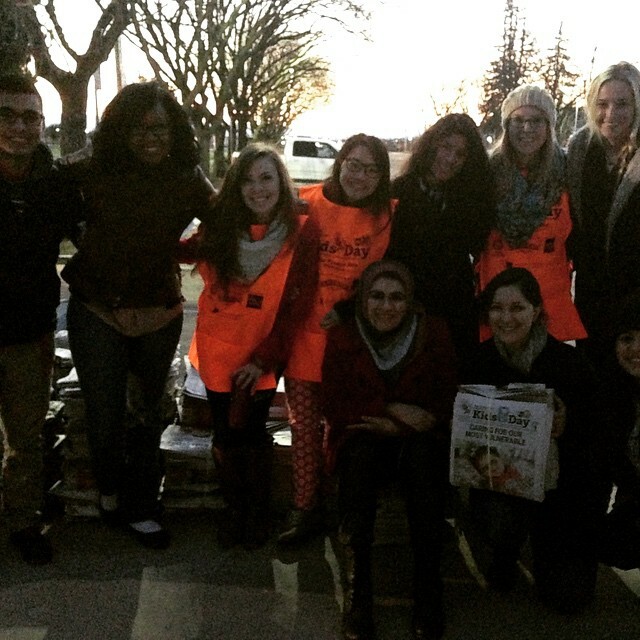 Nearly 2,000 Fresno State students participated this year and raised over $44,000, which is slightly higher than last year and a substantial portion of the grand total! Numerous clubs and organizations participate in this event each year, and it has even become a competition for many of them—especially the fraternities. This year, out of all of the participating fraternities, Sigma Phi Epsilon raised the most money, over $5,000. The other top selling organization was Trabajadores de La Raza, who raised over $1,200. 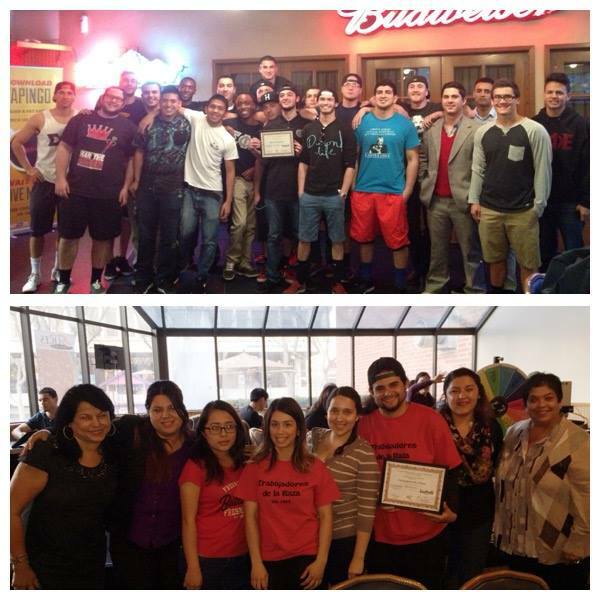 Top sellers: Sigma Phi Epsilon Fraternity and Trabajadores de La Raza! Cha’s words represent much of how I feel about Kids Day, and I’m sure many others feel the same. That is why this is such a successful annual event. This year, my role in Kids Day was behind the scenes as I distributed newspapers with my fellow Richter Center Student Leaders to other students. Being a part of this event on both sides of the spectrum was compelling because I got to see how important every role is in order to make an event successful. Seeing both students and the Fresno community come together to raise money for the Valley Children’s Hospital further ignited my passion for volunteerism and community service. I could not be more proud to be an advocate and student leader for community service; I can only hope that even more students were influenced by Kids Day! Richter Center Student Leaders celebrate a job well done! What is your favorite annual event? What organization would you want to promote city-wide? 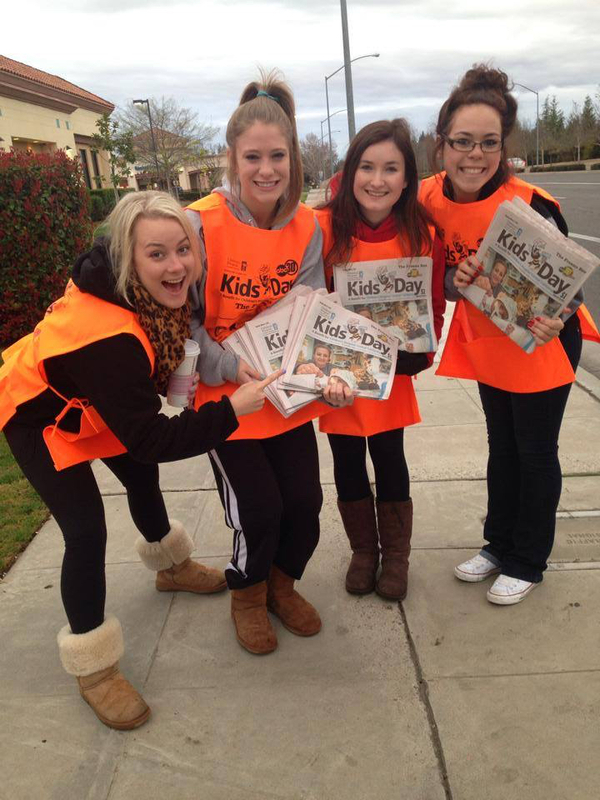 Each year, Fresno street corners are alive with people selling the “Kids Day” edition of the Fresno Bee for $1 in hopes of raising money for Valley Children’s Hospital. Last year, 1,400 Fresno State students raised more money than any other single entity (school, business, or even small cities) in the Valley with a total of over $43,000! You too can serve the children and families of Valley Children’s by participating in this year’s Kid’s Day on Tuesday March 3, 2015. You can sell papers, spread the word, and/or buy a paper from students around campus. Hopefully, we will surpass last year and raise even more money! Be a part of this special event, serve your community, and have fun! It’s not too late! Registration closes February 27th so don’t hesitate! Click to register!